The clouds unloaded as they passed by Powderhorn this weekend! 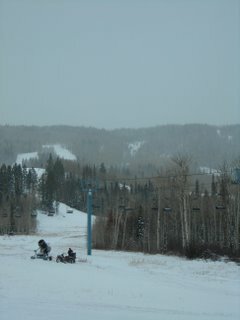 We've received 21 inches at the top of the mountain and 10 at the base area. Snowmaking operations have begun and season approaches even faster! Snow is expected today through tomorrow night. We'll keep you updated on snow totals as it falls so check back often! Wow, sure looks like a good year shaping up with all this snow. If you do open early, would that change the dates of the free days for Plus passes? Would hate to miss those!